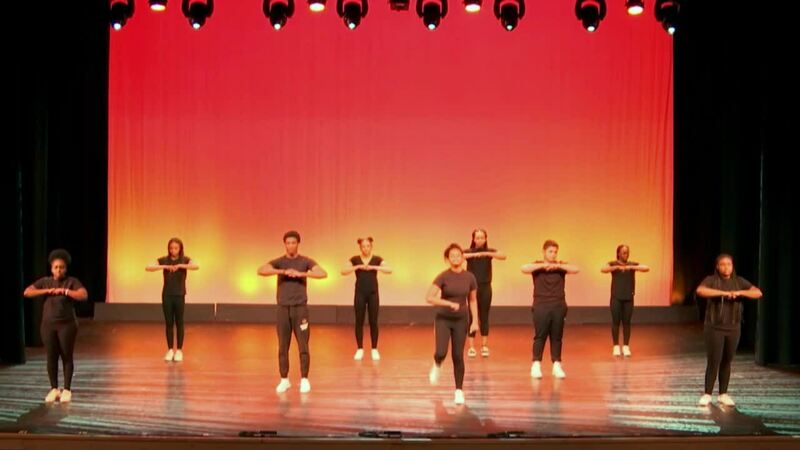 Student performers not only experience the thrill of creative self-expression, but they also develop discipline, teamwork, and problem-solving skills. To sense the energy surrounding the Performing Arts at MBS, simply step inside Founders Hall. Along with music and dance studios, you'll find our main stage theater—a beautiful 630-seat professional-caliber facility. The building is alive with creative activity: student dancers, actors and musicians inspired by the setting and by a faculty of passionate professionals. MBS students encounter a breadth of opportunities in the performing arts that is extraordinary. They take to the stage in spectacular musicals, explore the world of theater tech, and study instrumental or vocal music and varied forms of dance. They perform with the jazz band, the woodwind choir, or the strings ensemble. Whatever their choice, student artists not only experience the thrill of creative self-expression, but they also develop discipline, teamwork, and problem-solving skills. Performing Arts offers students the opportunity to explore a number of artistic disciplines. Students may choose to perform vocally, on instruments, through dance or in theater activities and projects. Media Studies is also offered as part of the program. The goals of all performing arts classes include developing proficiency in a particular area of the arts, increasing creativity and problem-solving skills through the arts, and helping students develop a lifelong relationship with the arts, both as practitioners and audience members. MBS’ curricular values are inherent in all of the classes offered by the Performing Arts Department, as they are integral to the very nature of performance itself and must be embraced on a daily basis if a student is to succeed. To work within an ensemble, one must cooperate and connect with one’s fellow performers. One must have independence of mind to fully understand and realize one’s role, yet have the humility and empathy to accept that it is but one part of many, that an ensemble, by its very definition, is a group viewed as a whole rather than as a collection of separate individuals. Finally, to work as a group effectively, one must not only have an awareness of diverse perspectives, but know that the easiest way to work through any differences these might create is by maintaining a healthy sense of humor. Theater courses allow students with previous experience to enhance existing skills, while also encouraging students without training to explore the world through the unique prism of the performing arts. Theater education stimulates creativity, problem solving ability, and critical thinking skills, while also challenging student perceptions about the themselves and the world around them. With an emphasis on live performance styles, theater classes at MBS also remind students about the importance of engaging in unmediated human communication. Middle School Players introduces students to theater through creative drama and improvisational exercises, along with monologue and scene work and an introduction to the technical elements of theater. Middle School Musical Theatre gives students the opportunity to learn about the rich history of the American musical theater, while pursuing specialized performance training in acting, singing, and dancing. Through the production of an hour-long musical, they will develop musicality, spatial awareness, and collaborative skills, and also learn to create sustainable and motivated characters for the stage. The development of well-rounded musicians, with an awareness of world music and the role music plays in society, forms the basis of vocal and instrumental music offerings at MBS. Middle School Band students engage with music in a wide variety of styles. This class provides young musicians with the opportunity to increase their individual musical ability while also working in an ensemble. Middle School Chorus is a vocal program geared for seventh and eighth grade singers, as well as any interested sixth graders, focusing on singing music of various styles, improving musicianship, and exploring twentieth century popular music history. The group will primarily sing two and three-part music, with particular care given to developing the skill of singing in harmony. Middle School Strings Ensemble offers beginning students an introduction to basic string technique. Students will gain dexterity and develop tone as they study and perform music of varying periods. 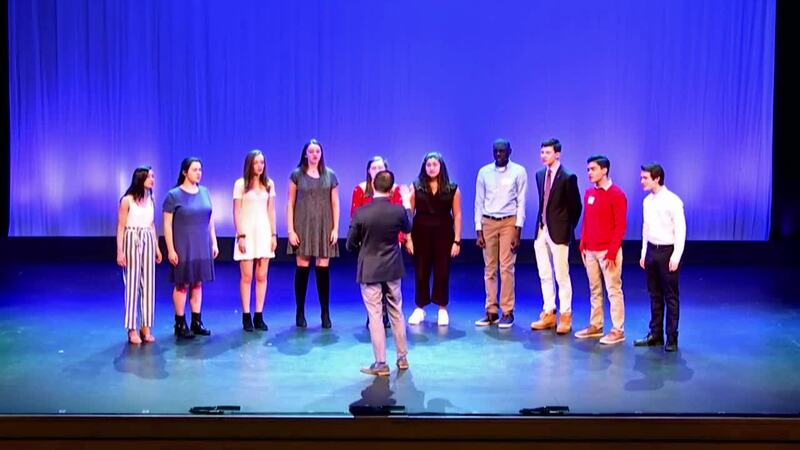 Composers in Context: from Beethoven to "Bang on a Can"
The Upper School a cappella singing group, Crimsingers, explores rhythms and harmonies and sings at concerts and special events during the year. The foundation of the MBS Dance curriculum is the three-year sequence from Introduction through Advanced Dance. These full-year courses include extensive warm-up, as well as exercises to develop proper alignment, flexibility, coordination and strength. Various styles are explored throughout the sequence, including Jazz, Modern, and Lyrical. Middle School Dance is for students interested in modern dance technique and performance. Students will gain an increased understanding of their individual range of movement, and develop balance and coordination. Middle School Tap Attack combines traditional tap dance technique found in 42nd Street and Singing in the Rain with the energetic contemporary style of STOMP and TAP DOGS, to provide students with the opportunity to raise the roof and make some noise! They develop focus and rhythmic intelligence, while also increasing physical stamina and coordination. 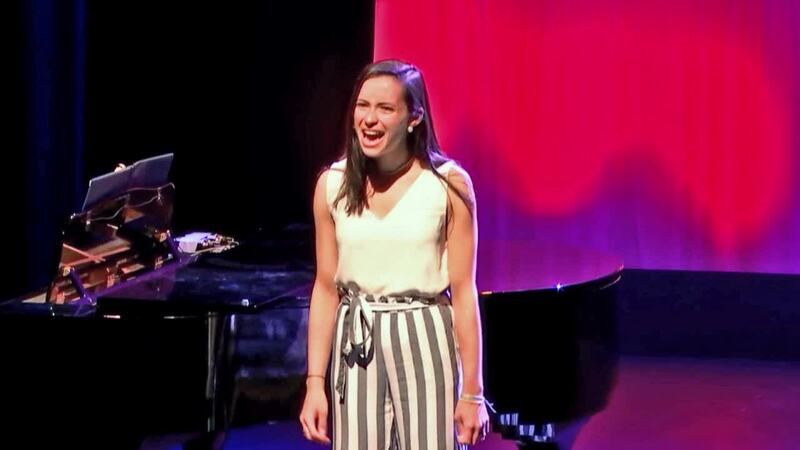 While attending Morristown-Beard School, Alexa performed in eight fully-produced plays and musicals (earning three nominations for her performances), took dance classes, played cello in the Upper School String Ensemble, and produced several Coffee House performances. Founders Hall rocks with performances from the Contemporary Music Workshop. The second concert produced by the Contemporary Music Workshop. 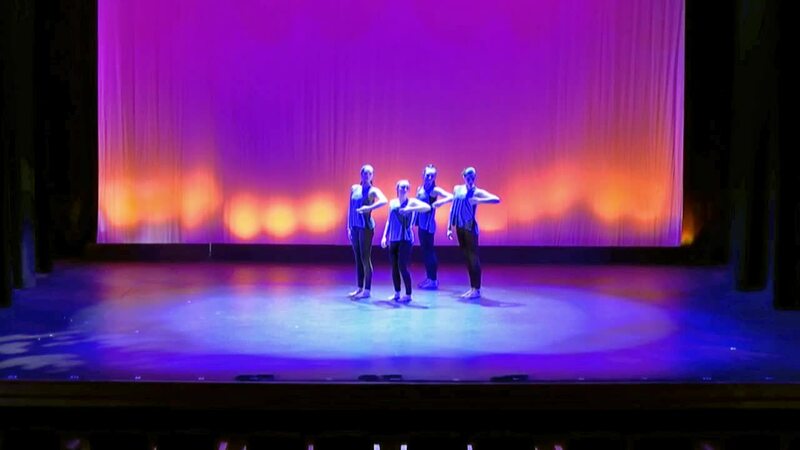 Students from the MBS dance program take the stage in winter performance. Featuring the Middle and Upper School instrumental and vocal groups. The Middle School Band, Strings, Chorus, Tap Attack, and Players share performances. Founders Keepers presents an informal night of music, entertainment, and snacks. Original and student-directed plays, along with monologue and scenes rehearsed in the Upper School Acting class. All performances take place in The Theater at Founders Hall, except as noted. Admission to all events is free for MBS students, faculty, and staff. Additional tickets (price varies) can be purchased at the Box Office in Founders Hall, or at www.showtix4u.com. "How to Succeed in Business" Was a Huge Success! Read More about "How to Succeed in Business" Was a Huge Success! Upper School Musical Rolling Along! Read More about Upper School Musical Rolling Along! MBS Stages "Sense and Sensibility"
Read More about MBS Stages "Sense and Sensibility"
A powerful production of Shakespeare's "cursed play"